Italy has been named the world’s most desirable travel destination by travel website TravelSupermarket. 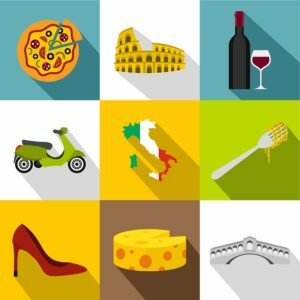 In a survey, TravelSupermarket found that Italy was the most-searched country online among users in 97 countries, including the U.S., Canada, China, and several European countries. Spain and Australia were in second and third place. Meanwhile, Italian and British users’ top-searched vacation spot was Spain, while Australians’ was the Maldives. The site searched Google’s Keyword Planner in all languages to find the monthly average of the amount of times a certain term was searched in each country. The survey, conducted in late 2018, used the term “Holidays in X” for more than 870 vacation spots; the results can be found here. These findings are consistent with the rise in tourism in Italy, which greeted 420 million tourists in 2017, up 4.4% from 2016. This year is expected to be another record year for tourism numbers. The latest data show that Germans account for the majority of visitors to Italy, at 14.1%, while the U.S. and U.K. each contribute 3% of the total. However, China is sending more tourists to Italy, and contributing to the growth of the Italian tourism industry. All this growth has created overcrowding and other issues in major Italian cities, with some locals speaking out against overtourism and others encouraging people to visit lesser-known parts of Italy.